We had a delightful lunch on the Apres Tout while inspecting this extraordinary hotel barge. Owner-operators Captain Rory and Chef Caroline Macrae proudly introduced us to their warm and tastefully decorated hotel boat. Large cabins and en-suites as well as a comfortable saloon and spacious deck give this boat an edge over other barges on the Burgundy Canal. Our fantastic lunch buffet was prepared by Cordon Bleu trained chef Caroline Macrae. We were duly impressed! The Apres Tout is a converted cargo boat originally built in 1950 and then transformed into a luxury hotel barge in 2004. She is 127 foot long (38.7 metres) by 16.5 foot wide (5.05 metre) and is truly sumptuous. There are 3 very spacious cabins with Emperor size beds that can divide into twins, each cabin has an extremely efficient air conditioning unit or a separate heating system for cooler months. All cabins have large walk-in showers and heated towel rails and are fully stocked with Occitane products. The salon and dining area are very light and airy with huge picture windows, there is a Satellite television, a Bose DVD player and CD player and ipod docking station. Also there are two wifi systems throughout the boat, so coverage even in the Valley D’ouche is pretty good! There is also for passenger’s use a Mac desktop computer and printer in our bureau. The deck is probably the best used area – a wonderful outside space with 360° views. There is a bubbling hot tub that can easily take 6 people, 6 deck chairs for sun seekers and a large canopied shaded area for dining – where all meals are served weather permitting. For those wanting to exercise – there are 6 bicycles that are ideal for tow path riding or exploring further afield. The Apres Tout all inclusive cruise incorporates the finest in luxury; from the glorious barge, to the Cordon Bleu food & wines, to the bespoke itineraries and the most attentive crew. You’ll feel so at home… You’ll never want to leave! A visit to Châteauneuf-en-Auxois, a medieval hill-top village steeped in History. 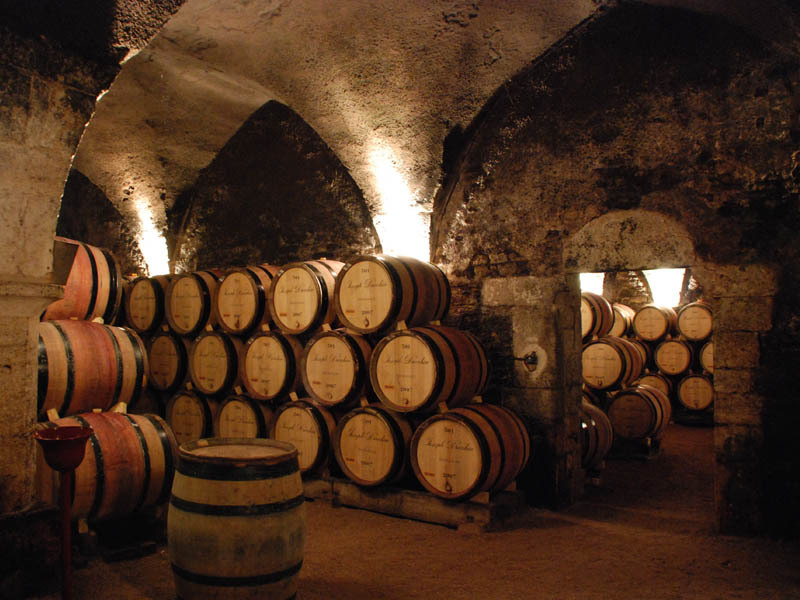 You'll also enjoy a private wine tasting at the famous cellars of Joseph Drouhin. Depart Paris in our luxury private transfer service direct to the barge moored in St Jean de Losne, where you board the Apres Tout for your canal cruise through Burgundy on the Canal du Bourgogne. A champagne reception gives you a chance to meet the crew. Once you have settled into your cabin, it will be time to return to the deck for a cocktail cruise on the river Saône. A delicious four course dinner will be served with wonderful wines to match, followed by after dinner drinks – weather permitting all served on the magnificent teak deck. Leaving the River Saône behind, we now enter onto the Canal de Bourgogne through the first of many locks! Spend the morning enjoying your first cruising day on the flat plain from the river toward Dijon. After lunch, your guide takes you to the area of the ‘Côte d’Or’ ( In French meaning Gold Coast) planted with vines that produce some of the world’s most famous wines. Here we visit the “Clos de Vougeot”, a medieval château surrounded by vineyards. This is truly a magnificent Chateau and the headquarters of the Chevaliers du Tastevin, whose special label is awarded annually to the finest Côte d’Or vintages. We have arranged some fantastic World War II jeeps to take you through the vines to explore some of the small tracks that wind through this famous land for some exhilarating fun! We return to the Apres Tout for a well deserved refreshing cocktail! This morning we visit Dijon, a wonderful town with a long and interesting history. As it is market day, the centre is thriving with traders selling their produce and shoppers meandering taking in the atmospheric feel of this magnificent city. There is plenty of time to shop in the city’s many chic boutiques or sit in a pavement café and watch the world go by. Later, we will visit the Grey Poupon mustard shop for a tasting of this famous product and then take a walk through the historic area of the town which will captivate you with its historical past, including the Ducal Palace. We return to the barge for lunch and an afternoon cruise into Dijon, where we moor for the evening. Tonight, you must try a ‘Kir Royale’ made with local Cassis, a liqueur invented here in Dijon made from blackcurrants and mixed with the Burgundy Champagne equivalent named Cremant. Leaving Dijon behind we continue our canal cruise to the valley of the Ouche. Enjoy a relaxing morning on board; there are many locks for dis-embarking to cycle or to walk. Late morning you transfer over the hillside and down through the vines to the charming village of Gevrey Chambertin. We are greeted by the owner of this prestigious Grand Crus wine makers, and here we have a splendid lunch on their terrace over looking their vines! During lunch Madame Drouhin Laroze (the owner) will present her wines. This is truly a very unique experience. After lunch, we are given a very informative private tour of the cellars. We then take a scenic drive along the famous ‘Route du Grand Crus’, Passing through many of the famous wine villages. The morning is spent cruising through the lovely Ouche Valley, this is a truly spectacular part of the canal, small villages pass by, cows wander in the fields, and there is nature all around. There is a total feel of peace and tranquillity as we slowly cruise this magnificent canal. After another wonderful lunch, you are transferred to the delightful town of Beaune, the capital of the wine region of Burgundy. Enjoy a visit to the famous Hôtel-Dieu, Hospice de Beaune with its interesting history and magnificent tiled roof. After some free time for shopping or strolling in the pedestrian streets we have an optional appointment for a private wine tasting at the famous cellars of Joseph Drouhin, this tour is by invitation only. Later, we return to the barge for a refreshing cocktail and freshen up before one of the high lights of the week, a gourmet dinner at the stunning Abbaye de la Bussiere. This Relais & Chateaux property has been beautifully transformed from a Cistercian abbey into a fabulous hotel, set in architectural grounds where you will dine in style tonight. Today enjoy the final stretch of this beautiful canal cruise. We pass through several more locks until reaching our destination of the port at Pont D’Ouche. This afternoon we make a special private visit to an English artist of world renown, who has set up his gallery and workshop in a converted barn. His work is world class, and has been recently commissioned to create a piece of art to celebrate the Olympics in London. We are shown through the workshop, and explained how he makes his marvelous pieces of bronze sculptures many of which have been produced for the Queen of England, including the war memorial in London. We then drive up to Châteauneuf-en-Auxois, a medieval hill-top village steeped in History. This is a charming place with stunning views from all angles, of the surrounding countryside. Return to the Apres Tout for a gala dinner with wonderful wines to match and a fond farewell. After breakfast disembark and transfer to Paris with our private luxury transfer service. The day to day itinerary described above is a typical cruise. However, on any one cruise the moorings may change and the places visited may vary depending on the season and guest preferences.